The best aspect to this episode was the complexity surrounding Kara and Mon-El's relationship, Kara's confusion as to what she feels for Mon-El was wonderfully executed by the writers and Melissa Benoist's performance felt raw and truthful. 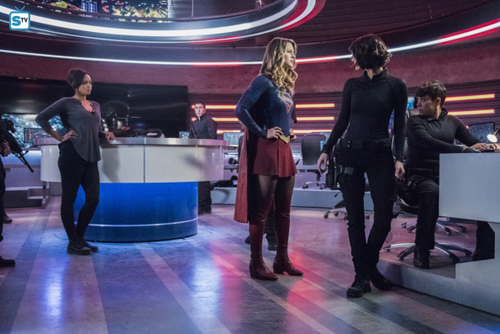 There were specific themes incorporated in the plot; Kara and J'onn's loneliness being the focus point which converged on Kara's feeling of abandonment when Alex asks to reschedule Kara's earth birthday so she can go to a concert with Maggie. It was interesting to see Kara's reasoning behind her insecurity but seeing how happy she was for Alex, she must have known that she would be seeing less of her and the fact that their sisterhood is really strong, that should be assurance that Alex would never abandon her sister. The psychological effect the DEO's lock down had on the characters was engaging and enforced some great horror elements; the gooey trappings of Winn and Alex and the burner testing were brilliant techniques which played with the audience. Also, this gave the cast an opportunity to extend their acting abilities, Jeremy Jordan and Chyler Leigh's portrayal of the white martians produced refreshing performances, drawing out Supergirl's confusion and loneliness. 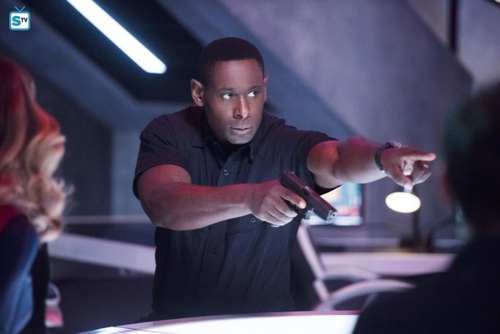 J'onn and M'gann's growing relationship was charmingly moving because it allowed David Harewood to explore the vulnerabilities of his character, albeit creating a more dynamic and complex character. M'gann's departure felt a bit rushed but it was inspiring to see that J'onn has had such a positive influence on M'gann that she would be willing to sacrifice herself for the opportunity to save her race from their own weaknesses. Overall, this episode had some fantastic character moments which developed and fleshed out J'onn and Supergirl's characters with clever construction. The horror themes emphasised the psychological tensions effectively and the action sequences were some of the best the series has produced.